With the rapid development of the national economy and the continuous advancement of the chemical industry, cement rotary kiln is becoming more and more important in the industry. Hongke Heavy Industry Co., Ltd. is a well-known manufacturer specializing in the production of cement rotary kiln. It can provide customers with better cement rotary kiln equipment in the production technology and process of cement rotary kiln. 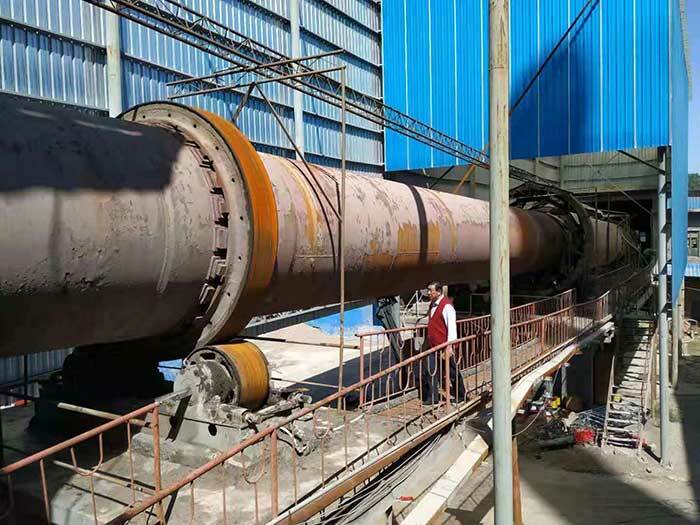 In this article, the experts of Hongke Heavy Industry talk about the skill of the cement rotary kiln. The bottom of the cement rotary kiln is constructed of refractory concrete, while the furnace wall and the top of the furnace are made of refractory brick. Before the cement rotary kiln is put into production, in order to dry the moisture in the masonry, the new furnace is subjected to an oven operation. (1) Laying iron plates on the bottom of the cement rotary kiln and burning wood on the iron plates to dry the masonry. After baking, remove the iron plate and clean the furnace. (2) The furnace is built in four symmetrical water jackets of the cement rotary kiln, and the wood is burned in the furnace, and the combustion exhaust gas is used to dry the masonry through the water jacket. Remove the stove after baking and secure the water jacket. (3) Combine the oven with gas, heavy oil, firewood and spray heavy oil. When the cement rotary kiln is in the oven, avoid heating up too quickly, to ensure that the furnace temperature rises to 200 degrees within 12 hours after ignition, and then keep the temperature for a while, then the oven is finished. In the process of cement rotary kiln oven, the temperature uniformity in the furnace is very important. In addition to the adjustment of wood, it is also necessary to adjust the natural ventilation of the furnace. After the cement rotary kiln is baked, there is often a small amount of raised air bubbles on the surface of the heat-resistant concrete at the bottom air distribution plate, which may block the side of the hood, so it is necessary to remove the air bubbles. Practice has proved that using the above method to carry out the oven, the brick wall joint of the cement rotary kiln and the heat-resistant concrete will not cause cracks, and the oven has better effect.